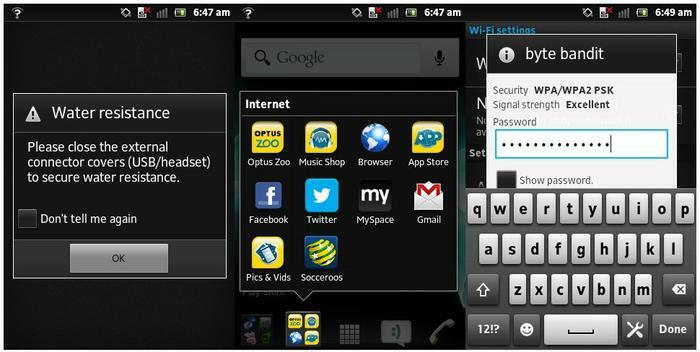 The Sony Xperia go is a compact and well designed Android phone with excellent rugged credentials. It has good build quality to go with its water and dust-resistant capabilities but the screen is cramped, it ships with outdated Android software and there's no front-facing camera. The latest smartphones on the market are delicate objects. Just ask anyone who has ever smashed the screen of an iPhone. If you live an active lifestyle and need a phone that can take a bit of punishment, the Sony Xperia go's dust and water resistant capabilities should certainly get your attention. The small, low-resolution screen and sometimes sluggish software may turn you off, but the Xperia go is a very well designed smartphone. The Xperia go can survive underwater at a depth of up to one metre for around 30 minutes. 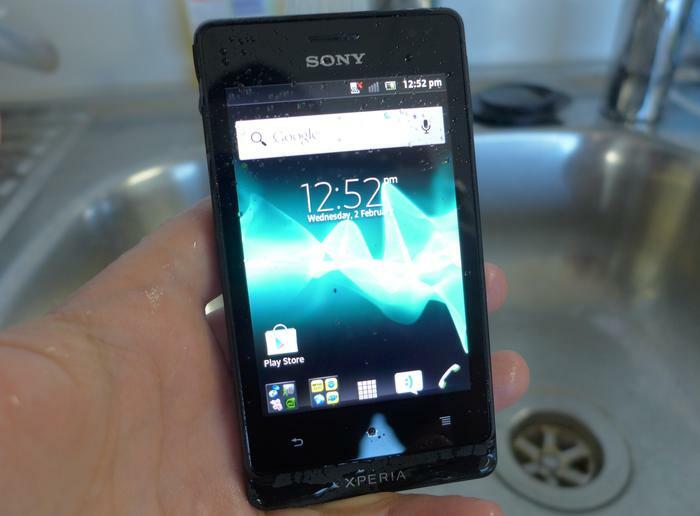 Sony says the Xperia go can survive underwater at a depth of up to one metre for around 30 minutes. 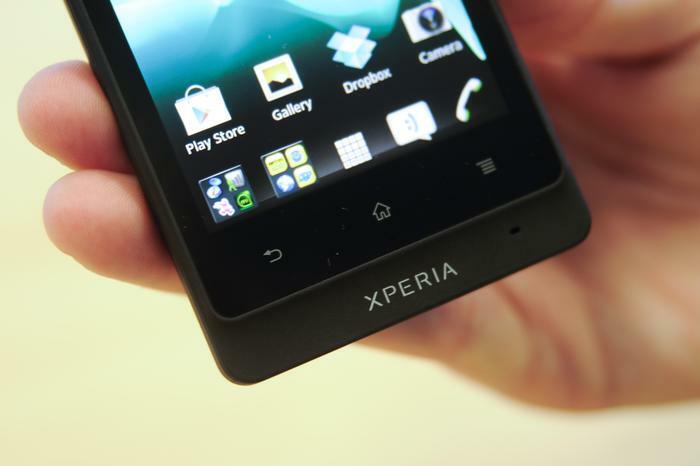 The Xperia go is one of the most compact smartphones we've reviewed this year. 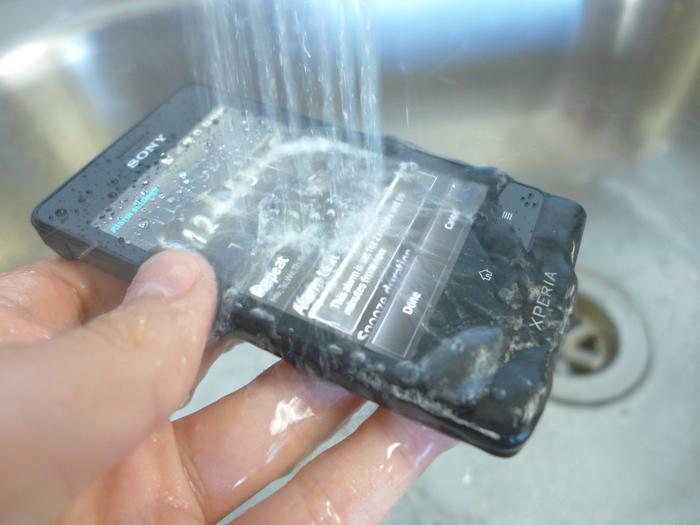 The Xperia go has a feature called "wet finger tracking" so the touchscreen will work perfectly even when wet. The delay in releasing the latest version of Android is unacceptable. The low resolution of 320x480 means the Xperia go doesn't display overly crisp text and viewing angles aren't the best. From L to R: A warning to close all the ports before wetting the phone, some pre-loaded Optus apps and the cramped screen. Both the camera and the video recorder can be used underwater. Both the camera and the video recorder can be used underwater, which is a really interesting feature. The video recording offers stable performance though the autofocus feature can be a little slow if you're constantly moving. Here's a sample video we recorded under running water. 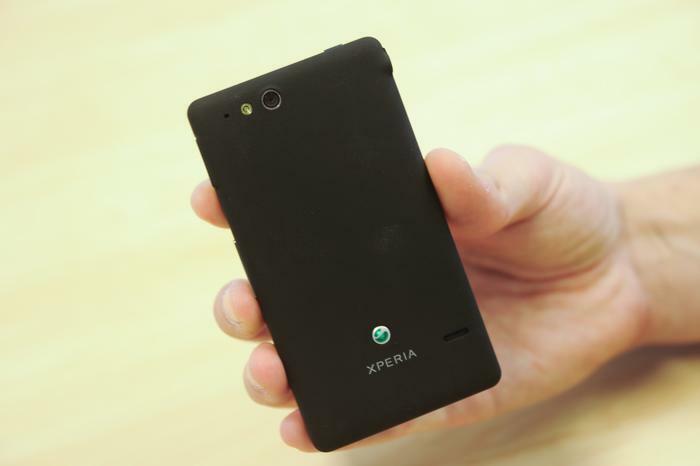 The Xperia go exhibits no creaks or rattles and feels like a solid block of plastic, even though the rear cover is removable.